In my Friday Favorites last week, I linked up to this inspiring blog post written by Elsie over at A Beautiful Mess, in which she talks about setting four simple, activity-oriented goals for the rest of the year. I always find myself both loving and loathing the goal setting process I usually embark upon around the new year, so setting really basic goals prior the the busy holiday season seems sort of genius. 1. Focus my holiday gift spending/efforts on homemade, handmade and locally-sourced goods, services and experiences. I've been trying to do this for the last several years and -- with a few exceptions -- have been pretty successful. It's still a bit of a challenge every year, so I'm hoping you'll keep me motivated! 2. Make it up to the north coast before the new year. We're sticking around the Sacramento area for the holidays this year, but I would love to find a small block of time to visit my family up north. Fingers crossed! 3. Spread my creative wings a bit by exploring creative outlets outside of writing and photography. Admittedly, I've already started tackling this goal. I'm enrolled in Jessica Hische's "Introduction to Lettering: One Letterform at a Time" class on Skillshare, which launches tomorrow (New to Skillshare? Click here for $10 off your first class!). If you follow my adventures on Instagram, you've already seen my recent fun with oil paint on canvass. 4. Go to bed by 9 p.m. as often as possible. This one is tough for me. I always feel the most creative at night, but I'm infinitely more productive after a solid night of rest. Here's to letting sleep win from time to time. So how about you? 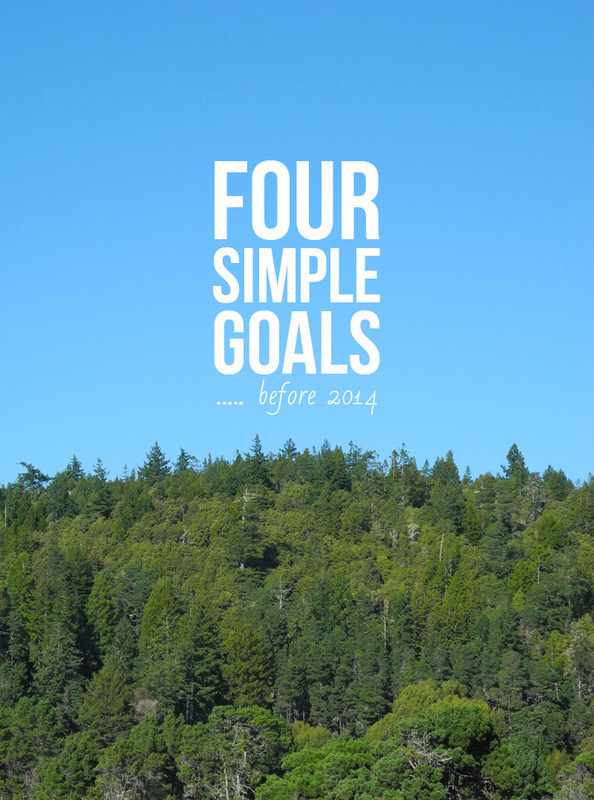 Anyone else interested in setting a few simple goals to see you through the end of the year? I would love to read about your goals, so please feel free to link up or simply list them out in the comment section below!